Meet MOVO, your new money app featuring an instant digital Prepaid Visa Card, named one of the best prepaid debit cards by NerdWallet, Simple Dollar & The Balance. Crave a plastic card? Need Direct Deposit? We’ll hook you up! We Keep it Digital and Real: About 10 days after you register successfully, you’ll receive a shiny new, personalized MOVO card in the mail for your extra convenience. Our treat! Security, Just Like a Bank: Your balance is FDIC insured. We ask extra security questions during registration to keep you safe from risky business. Plus, MOVO doesn’t sell your information to marketers. Instant Spending Power: Once money is transferred, loaded, or deposited into your account, it can be spent anywhere Visa is accepted. You can even pay bills or send money to a friend. Automatically Load Your Paycheck: Whether you are a 1099 independent contractor or a W2 employee, MOVO provides you with Direct Deposit instructions as soon as you register which you can provide to your employer, benefits administrator or other payers and clients. Balancing Act: Use MovoChain.com to cash out your Bitcoin, Bitcoin Cash or PayPal balances in a flash. 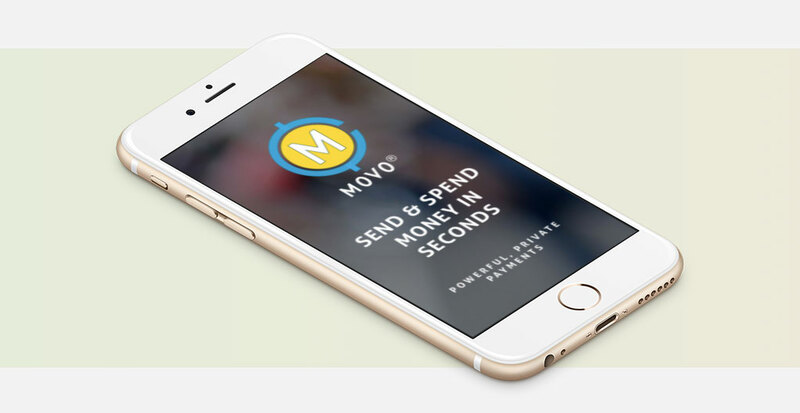 Within minutes you can spend or send funds to a friend using MOVO. Check Yourself: Deposit a check to your MOVO account number using the Ingo Money App. Ask MOM, DAD or Your BFF To Send You Money: When you and your family members or friends all have MOVO, you can transfer funds to each other instantly at no cost. P2P2P®: Person to Person to Purchase in seconds! Send cash to friends or family, and the recipient can spend money right away.​ ​Why do other services make you wait or pay to use YOUR money? Shop Anywhere: Visa is the most popular payment brand on the planet. If you see the Visa sign, you can MOVO! Need Cash? : ​Once you have received your sleek, wallet-worthy MOVO car​d via snail mail, you may use it to make ATM withdrawals anywhere you see the Visa Plus and Visa Plus Alliance symbol. ATM fees may apply. MOVO is SMART – This is financial responsibility in an app. You spend just the cash you have, without carrying a messy wad of cash. Watch your balance in the app or with alerts. MOVO is PRIVATE – No one needs to know how many pizzas you ate or how wild you got last weekend. Hold the emojis, please. MOVO is FREEDOM – Freedom from credit card debt and big bank policies and fees. MOVO is LIVE – We believe in the personal touch and pride ourselves on offering real live customer support, ready to help you at any time. Just contact support@movo.cash or call​ (866) 533-6686​. Ready to MOVO? Check us out at ​https://www.movo.cash​.